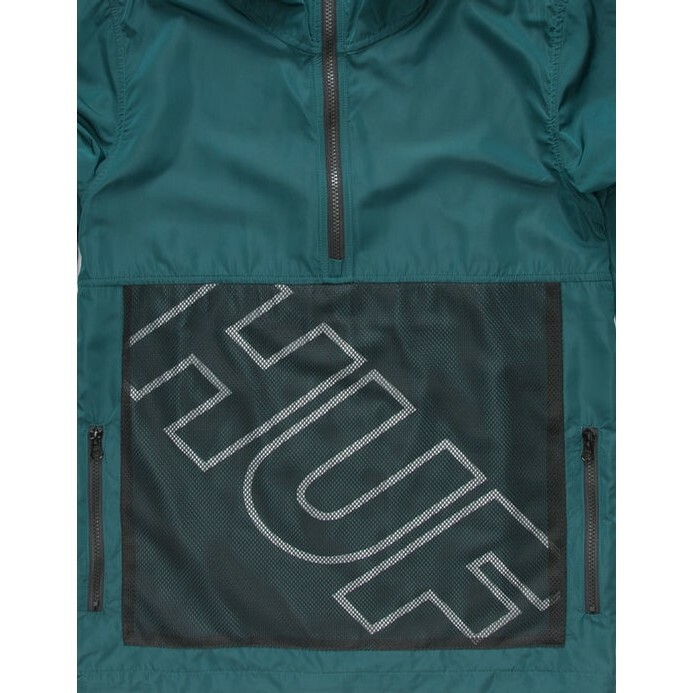 Huf Wire Frame anorak jacket. 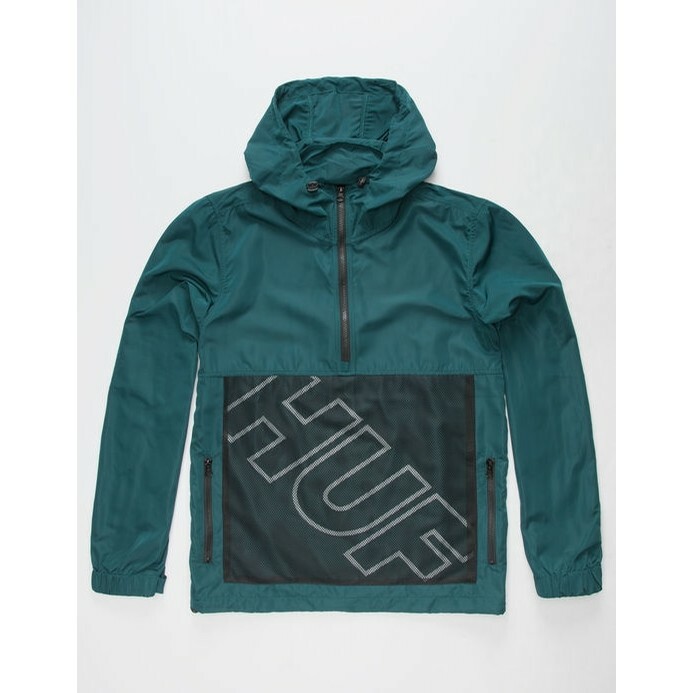 Pullover anorak jacket features a mesh overlay on front with reflective Huf logo. Poly nylon construction. Mesh lining. Adjustable cinch cord hood. 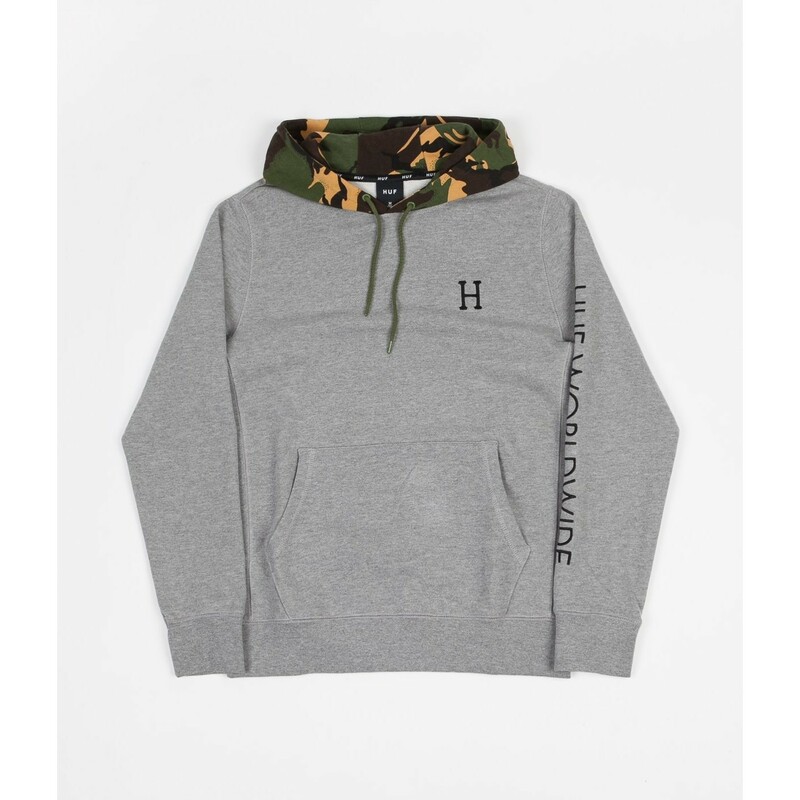 1/4 zip front. Welt hand pockets with zip closure. Adjustable cinch cord hemline. Elastic cuffs with adjustable velcro cinch tab. Long sleeves. 100% polyester. Machine wash. Imported.